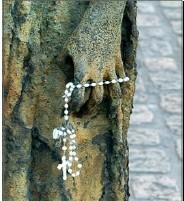 The Irish Episcopal Council for Emigrants (IECE) has published an Parish Resource Pack for 2011. 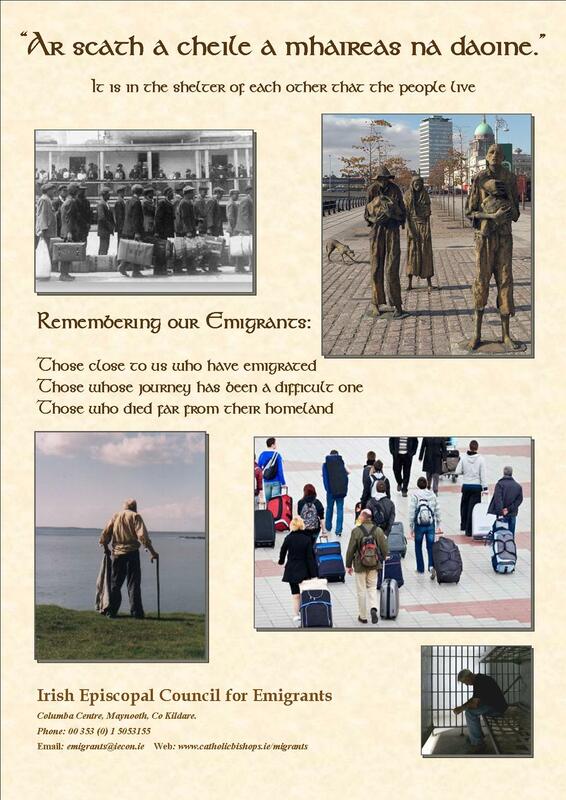 The Resource Pack aims to assist parishes and dioceses in raising awareness about the issues affecting emigrants and to ask for the prayers and support of parishioners. By dedicating prayers and services to this important issue, it is hoped that those affected by emigration will find some comfort and support. The Parish Resource Pack includes suggested prayers for the Prayer of the Faithful, homily notes, an insertion for the parish bulletin, migration statistics, a brief synopsis of the work of the IECE and a poster. Here is a short prayer from the classic collection ‘Prayers of an Irish Mother’. Prayers for emigrants were an integral part of Irish prayer books during the nineteenth and the first half of the twentieth century. Prayers of an Irish Mother is still in print. in every trial and temptation.